Recover like the Pros, with the Pros! @GoPolarCryotherapy! NOW OPEN GoPolar Cryotherapy & Float Spa!!! 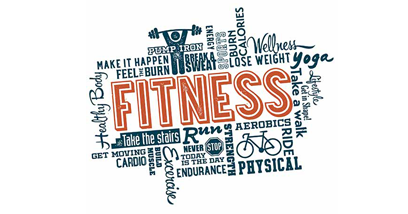 With facilities opening up all over the United States since 2004, GoPolar Cryotherapy is the first of its kind offering the most advanced cryotherapy equipment and is the first to be located in the southwest suburbs of Chicago. GoPolar Cryotherapy is located at 238 Main St. Lemont, IL 60439. GoPolar offers several services such as the Whole-Body Cryotherapy, Localized Cryotherapy and the in demand CryoFacial™. They are also an ONNIT Official Partner. Cryotherapy is a growing form of therapy that is being utilized by many people from professional athletes such as Lebron James, Floyd Mayweather, Dwayne Wayde, soccer star Cristiano Ronaldo, UFC fighter Allan Jouban to wellness enthusiast as well as people suffering from inflammatory diseases. It is a safe, therapeutic and non-invasive process that reduces inflammation, promotes muscle recovery and rejuvenates the skin. Whole Body Cryotherapy (WBC) was originally developed in Japan in 1978, and the benefits have been studied and refined in Europe since that time. 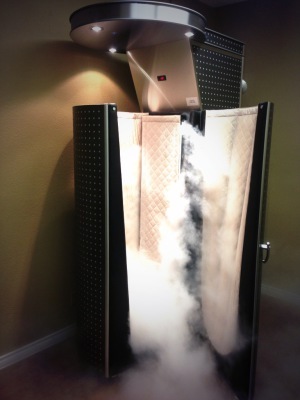 Whole Body Cryotherapy is exposure to subzero temperatures (-200F to -260F). The client is placed into a cryogenic sauna for a short duration of 2-3 minutes, the extreme cold stimulates skin receptors, activating a Central Nervous System (CNS) response. This causes the release of endorphins, the body’s natural pain inhibitors and mood elevators, while the enhanced circulation activity (blood movement into and out of the core) decreases inflammation by clearing toxins and metabolic waste with a supply of oxygen and nutrient enriched blood to stimulate cellular regeneration (faster healing). WBC is becoming nationally well documented as being used for the daily management of pain, inflammation, energy, and stress related conditions. It is also used for treatment for a range of conditions such as Lupus, Rheumatoid arthritis, Lyme disease, fibromyalgia and general fatigue. 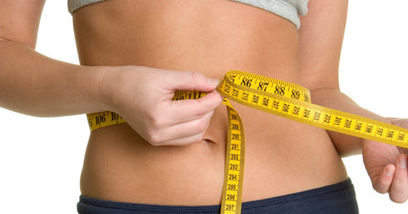 Weight management is also a benefit of Whole-Body Cryotherapy, you burn 500-800 calories with one session. Whole-body Cryotherapy is utilized by many celebrity A-listers such as; Demi Moore, Jennifer Aniston, Daniel Craig and Joe Rogan to name a few. 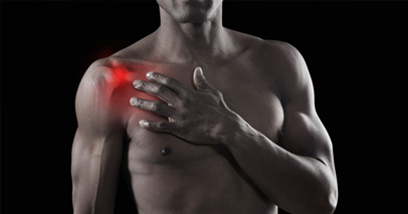 Localized Cryotherapy applications are used to reduce pain, inflammation and swelling in targeted areas. Unlike Whole-Body Cryotherapy, which stimulates cold receptors all over the body in order to trigger an internal systemic anti-inflammatory response, local cryotherapy is comparable to “icing”, although much more powerful and efficient. 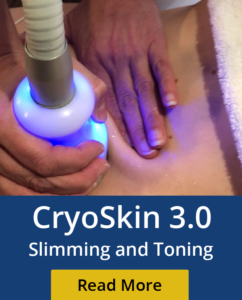 Clients frequently combine this application with Whole-Body Cryotherapy to treat problem areas both from the “inside out” as well as the “outside in”. As temperatures as low as -290F can be reached by our devices, a local area treatment only needs to be conducted for 10 minutes, with a benefit exceeding that of hours of icing. The Cryofacial™ was developed by Dr. Kuehne, and uses pressurized liquid nitrogen vapors which are applied to the face and neck to stimulate the production of collagen and decrease pore size. The skin becomes tighter, more even-toned, and blood circulation is improved. Over time, skin becomes more elastic due to the increase in collagen.